For your first 10K training program, you need 3-4 months training. You can prepare you adequately though you have no experience of the previous running. For this, you can follow some simple guidelines. But this program is ambitious than the 5K run. If you are a hard working person, you can reach your 10K finish line. Do your practice regularly for every week; you can take full preparation. 10K run is a long distance race. It is a little bit challenging for the beginners. But a strong-minded runner with proper couch and training can able to do this. So, for some tips, scroll down the page for your best 10K race. Let’s talk about couch to 10K training program. Running is always good for our health and fitness. If you want to be a professional runner, a 10K race is fantastic. The 10K race is a standard distance for all types of runners. It has both speed and patience. 10K run is as popular as a 5K run among the beginners. This run is more popular with the people who are looking for new challenges. You can easily train for a 6.2 miles run without any unbalance of your life. Besides, it needs not any major exercise and more schedules. But for a 10K run, you need proper fitness and preparation. You should cross a 60-minute mark that is very helpful for you to increase your stamina and improve the strength of your legs. For an ambitious runner, a 10K run is crucial. Now I am providing you some advices which are very effective for a runner for a 10K race. James Heptonstall, the captain of Adidas Runners, London, gives some tips for the runners of 10K that was launched in 2016 in Shoreditch. The tips are in the below. During your 10K running training, you need some variety. Your training doesn’t be just getting ready and running. You need to mix up the training with some intervals, runs, hills and steady runs. You also take care of your body and listen to its capacity. Do not try much and take enough rest. Your training should have the resting and recovery schedules. When you want to improve the time of your 10K run, it is better for you to run with some others who have the similar ability. The runners can be your friends or the member of a run club. The training with others will help you to be harder to get more training. Running is not only a physical game but also a mental game. So, supports and encourage your near people is very important. At the time of 10K training, you need to do some other exercises. These exercises are the complement of running practice. The workouts according to your core ability, your strength help you to reduce the risk of injury. Some activities are beneficial for your legs. Flexibility training like yoga, Pilates is excellent for all types of injury prevention and also improves the quality of a runner. For pre-race nutrition, I recommended the foods that are low in carbohydrates. You can eat brown bread, rice, porridge to provide you sustained energy. For post-race, you need the foods of fast-release carbs. This type of foods is pasta, jacket potato, etc. You need to drink a lot of water. In your busy life, you have to make a plan for your 10K training. There are differences between the run for fitness and training for 10K race. The word “Training” is more motivational for a runner. You need a proper running plan. Your plan should contain at least 10 weeks plan. It is not good to change anything such as your diet, clothes, shoes, etc. Do not try something new on your race day. Try to arrive at the place of the race with a lot of time on your hand to spare to warm up yourself. Always use a watch to track your speed. You should be convinced. 10K running training is not so comfortable. You need to ugly workouts. Even the best runners face tough moving days. If you meet a tough day, you can slow the pace and go through it. Hard work makes you confident and gives you mental strength. 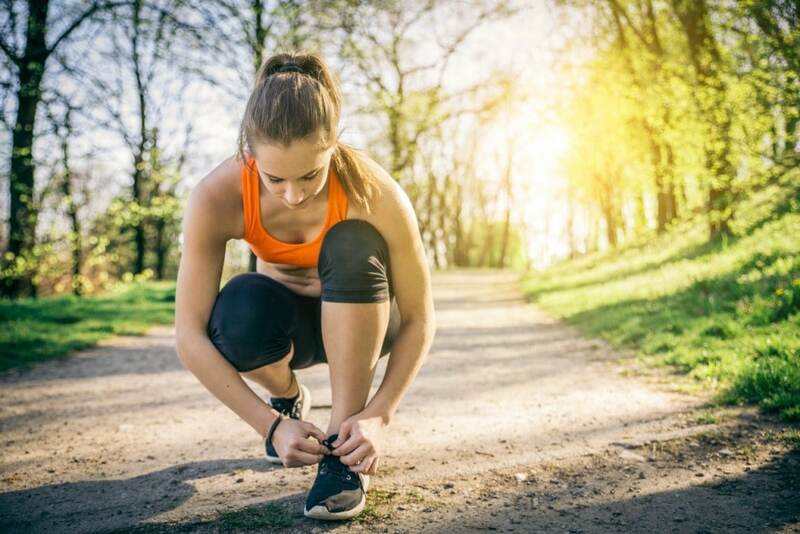 For your 10K run, you need to run smoothly during your workouts. Your training is as like as chili recipe, and a faster workout is as like as the spicy recipe. For your 10K run, you need to practice a longer race. You need to balance your practices and make yourself stronger. For you 10K challenge, you need to practice a long time run. You can add one or a half mile gradually in each week workout. Besides, every 4-week, you should try only five miles to recover yourself. A week before your race, try five miles. A 10K run is an achievable goal for a runner. Besides, the training is not so time-consuming as a full marathon. If you are a new runner and it is your first 10K, you need to do this training program. It is a 10-week training schedule for 10K run. It will help you without any training before. Let’s see the plan. It may be the great mistake of the new runner is not to be patient and rush into the training. The beginning of running training contains both walking and running. The total training is for progress yourself gradually to make the injury risk low. Running is a hard activity. So, the beginner needs to adapt it to their body. While your training program, you should listen to the body. Start practicing on the same route of running. But gradually try the variety of routes to improve the fitness. You need different workouts for different stresses on your body. You should eat healthily and sleep properly at night. This schedule is for the beginners who can finish the 10K race. But you need the experience of run 2 miles. But if you do not do this before, you need to follow the plan to build your running base. Then you can follow the schedule of 10K run. First week: It is an easy starting for anyone. It is three days working plan with four days rest. On Monday, you should take rest. Then run smoothly for 15 minutes on Tuesday. The next day is for rest. Then again run for 15 minutes on Friday. Take rest on Saturday and run again for 25 minutes on Sunday. 2nd week: Follow the schedule of the 1st week for next week. There is nothing to change. 3rd week: In this week, the runs go to four from three. Monday is the rest day. Tuesday is for 15 minutes run. Then take rest on Wednesday. Run 20 minutes on Thursday and take rest on Friday. Try a 10 minutes short run on Saturday and 20 minutes easy run on Sunday. 4th week: This schedule is as like as the schedule of the 3rd week. Just add five minutes run with 20 minutes on Sunday. 5th week: This plan is 70-80% of the capacity of your body. Add extra 5 minutes on every running day. And take rest on the day for rest. 6th week: Run 20 minutes on Tuesday and Thursday. Take rest on Monday, Wednesday, and Friday. On Saturday, 15 minutes easy run is recommended. Then run for 40 minutes on Sunday. 7th week: Run easily for 15 minutes on Tuesday and Saturday. You should take rest on Monday and Wednesday. Do 15 minutes workout on Saturday. Then run 45 minutes on Sunday. 8th week: Take rest on a resting day. Then run for 15 minutes on every working day except the Sunday. On this day, you should add extra 5 minutes to the previous schedule and run. 9th week: Now you should slow down your practice. Take rest on Monday, Wednesday, Friday. Run 15 minutes on Tuesday and Thursday. Then run 10 minutes for Saturday. For Sunday, keep 20 minutes for the easy run. Last week: On last week, you should take enough rest. Practice easy run for the three practicing days. Then go to the race day with the fresh and gentle mind. If you have already experienced 10K race, you need more improved training. You need to speed training on your own record. For this, you can follow an eight-week training schedule. Your 10K schedule contains some advanced runs. Cross-training: Cross-training is essential for you because it gives a break to the joint and muscles. You need to do some cross-training such as biking, elliptical trainer and swimming for 45 minutes. Besides, you need to do strength training for more 15-20 minutes to maintain your body weight. 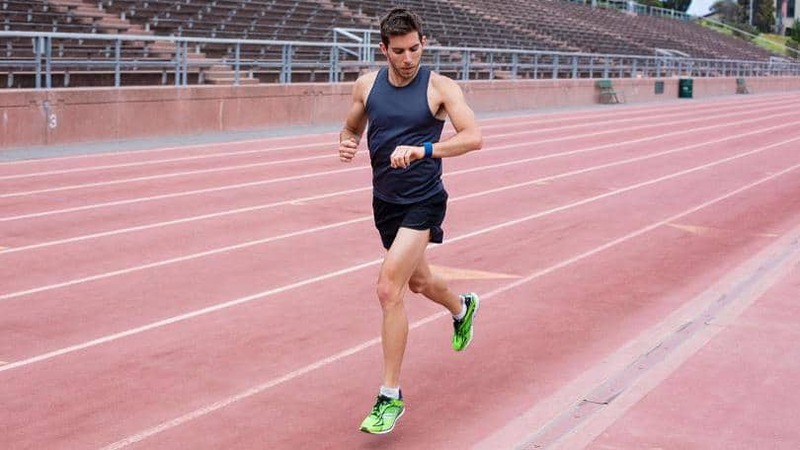 Tempo run: This training is for improving the anaerobic threshold that is necessary for fast running. In this case, you should start easy run for 5-10 minutes. Then continue the run for 15-20 minutes near the 10K pace. Then finish it with natural running for 5-10 minutes to cool down. Interval exercises: After warm-up for 400 meters run, you should recover by walking for 400 meters. When your schedule is 4 x 400, you need 400 m recovery between two runs. Rest: Rest is must for injury prevention and energy recovery. So, take rest on the rest day. During the rest day, the body muscles repair themselves. So, when you run daily, you will not get the desired improvement. After your Thursday workout, you should take rest on Friday. 1st week: Monday is for cross-training or time to take rest. On Tuesday, you should run 4 x 400 IW. Then On Wednesday, you should practice 3 m easy run. On Thursday, practice tempo run for 30 minutes. Friday is the time to take rest. Then sun 4 m on Saturday. Sunday is the day to do 30-minute easy run. 2nd week: Run 6 x 400 IW on Tuesday. Do some cross-training on Monday or take some rest. Wednesday is the day for 3.5 meters easy run. On Thursday, you should do a tempo run for 35 minutes. Take rest on Friday. Saturday is the day for the 5m run. Then run 35 min easy on Sunday. 3rd week: On the third week add more one time 400 IW run with the previous run on Tuesday. Do as usual CT or take rest on Monday. Wednesday and Thursday schedule is the same for this week. Increase one meter more on Saturday. Complete the week with the 35-minute easy run. 4th week: Run for 8 x 400 IW on Tuesday. For Wednesday, you should practice 4 m easy run. Thursday is for 40 min tempo. Take rest on Friday. On Saturday, run for 6 m. Sunday is to run easily for 40 minutes. 5th week: Add more 1 time of IW on Tuesday. For Wednesday, Thursday and Sunday you will practice the schedule of the 4th week. On Saturday, you should do 7 m run. 6th week: In this week, the schedule of Tuesday is same as the 5th week. On Wednesday, run 4.5 m. Thursday is the time to practice 40 min tempo. Take proper rest on Friday. Then run 7.5 m on Saturday. Practice 45 min easy run on Sunday. 7th week: Do cross-training on Monday. In this week, you need to reduce the IW to 6 x 400. On Wednesday, run gently for 4 m. Thursday is to practice 40 min tempo. Take rest on Friday. Then run for 8 m on Saturday. Keep your time for Sunday to 45 min easy run. 8th week: On Monday, take some rest. Then on Tuesday, practice 3 m easy run. Change the schedule on Wednesday and run 40 min tempo. On Thursday, run for 3 m. Then take enough rest on Friday and Saturday. Sunday is the 10K race day! You need some mental and practical preparation for race day. Now see some preparation tips for 10K run. For the new runners, racing etiquette is essential. When you are not familiar with the running rules, the fellow runners can be annoyed. To avoid this, you need to know and follow the etiquette guidelines during your race. You should arrive at the racing place earlier. See the environment of this day. Make yourself well-prepared. Take some fresh water 30 minutes before the race. To keep your mouth hydrated, you can crew some gums. There are some water stops on the road of the race. But do not take water during your race if you do not feel thirsty. 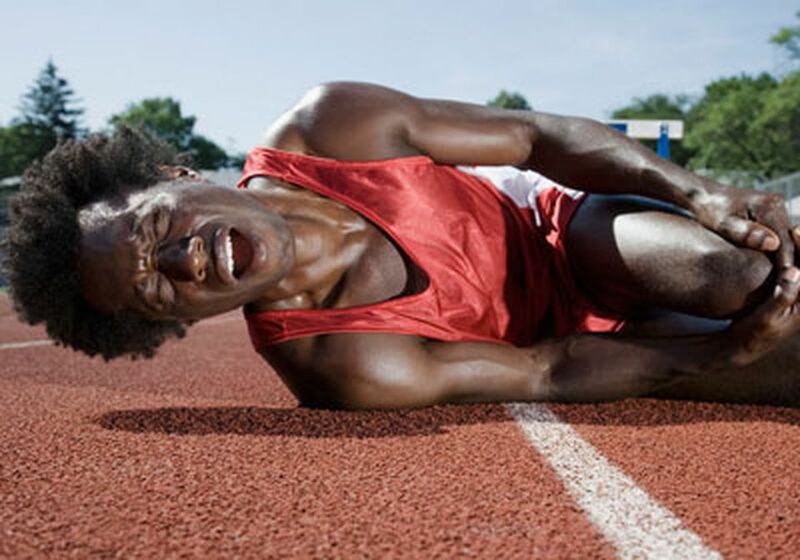 During your 10K race, you may get injured. You should be concern about it during your training session. It is better to increase the training gradually. Increase your running target on a weekly basis. The common injuries of a runner are plantar fasciitis, shin splints, runner’s knee. You can reduce the risk of getting an injury by some workouts. Do some leg exercises such as squats and calf raises. If you are now struggling with some injuries, check your shoes and wearing. For your running shoes, you should take some advice from the specialist running stores. You should take proper rest and listen to your body. When you do not carry the workout load, you should give up it for one day or limit the workouts. Besides, during your training, you should try the variety of road track. Do some exercises to make your core muscles strong. The most important equipment for any run is the running shoes. Choose the shoes that are lightweight and flexible. See the cushioned models for half and full marathon. Running socks are also important. There are different types of socks. Try the socks which are comfortable and take the sweats. Choose them according to the weather condition. While choosing clothes, you should remember that runners heat up quickly during the race. So, many the runners wear less clothing on the race day. It depends on the condition of the weather. So, check the weather forecast before few days of your race. For warm weather, you need a T-shirt, lycra shorts or the carpis. Try the clothes that can circulate the air properly. Use sunscreen to avoid burning of your skin. Besides, you can wear running hats, headband and compression gear. You need to consider more things for a 10K race. Now I am going to describe them below. Your full preparation depends on the background and your experience. But everyone needs training for 10K to divide the focus into three areas such as speed, recovery, and endurance. For speed, you should focus on how to increase the maximum amount of the fast-twitch fibers recruited of the muscles for every stride. For endurance, you should adapt your mind and also your body to longer distances. You need to run some miles as the recovery depending on the ability of you. You need at least two recovery days a week. The most important training session is the recovery. Many of us avoid this. But if you avoid these sessions, your risk of injury will increase. You cannot complete the training sessions successfully. So, you need to mix up some low-intensity training, stretching. It will help you to improve yourself and to be a successful runner. You need the variety in your training sessions so that you can increase your speed. The courses include hill runs and some interval periods. Though 10K is a long run distance, a time target will help you to complete the race. You should try the run that contains speed up and down and listening to the body. Where does most runner do wrong? Most runners make the great mistake by upping the speed. So, you should be concerned about this problem. You are not a bike or a tire. Training through troubles can occur serious injuries. The other mistake is to avoid the fuel of your body. You should keep your body well-prepared for your race day. It is an excellent idea to use a running app. With this app, you can track your run and then review them. You can also use a running belt to keep your phone safe while running. If you do not like to carry a phone with you, you can use trackers during your training such as a GPS tracker to record your distance. You can buy a running watch at a reasonable price. It is beneficial to track your training and also offers some interval workouts guides that are easy to programme yourself. When you do all the weekly training without any mistake, you see that running 10K is not harder. You will not face any trouble to complete your 10K race. A 10K run is a long distance race for the beginner runners. This race is very important to be a successful runner. Before a 10K run, you need proper and full training. Complete the training properly and appear on the race day with a cheerful mind. Do not work so hard without taking any rest. It will not make any improvement. So, always give your body enough rest to recover the energy, keep your mind prepared for the race and work harder gradually. It will be not so tough for you to complete a 10K run if you follow the coach correctly. Try to know more things about running and runners. Follow the rules and regulations carefully.